Speaking about Vincent, who originally joined KISS in 1982 as Frehley‘s replacement, Simmons said (see video below, starting at around 15-minute mark): “He’s about to get into some more legal problems, because he tried to trademark the makeup and to trademark ‘Vinnie Vincent Kiss‘, the logo. 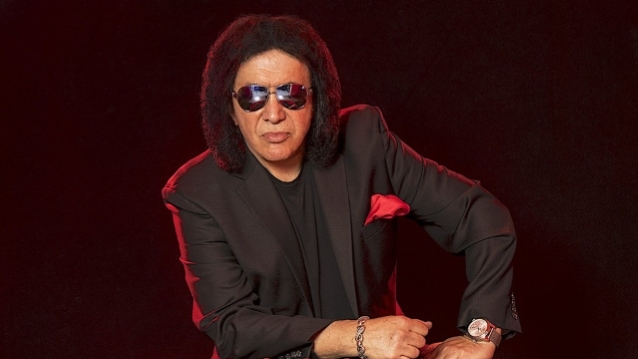 As the “Ankh Warrior,” Vinnie toured with KISS in support of “Creatures Of The Night”, on which he played lead guitar on six songs prior to becoming an official member of the band. He was also a member of KISS when the band publicly “unmasked” in 1983. After Vincent sued Paul Stanley and Simmons for “Lick It Up” royalties, a federal judge in Los Angeles ruled against the guitarist and awarded the KISS defendants about $66,400 in attorney’s fees and $15,400 in costs. In June 2010, Vincent lost his 6th Circuit appeal of an order barring him from seeking bankruptcy protection from paying more than $81,000 to his former bandmates. Vinnie will perform live for the first time in 30 years on December 7 and December 8 at Graceland in Memphis, Tennessee.